Ahead of the forthcoming general elections, there have been high expectations from members of the public as well as members of the international community on what may likely the outcome of the polls at all levels. Among these is also the Kwara politics owing numerous factors such alignment and realignment of political forces in the nation's political centre-stage with gladiators from Kwara State at the front burner of the act. However, the souls and survival of the people of the state is to be determined the party that coast home to victory at the gubernatorial race. Although, the new Resident Electoral Commissioner of the Independent National Electoral Commission, (INEC), in Kwara State, Mallam Garba Attahiru Madami, has expressed readiness to conduct peaceful, transparent and acceptable election for the people of the state. He said: “You will agree with me that all eyes of Nigerians are on Kwara State to see what the outcome of elections this state would look like. “I am highly disciplined with high level of integrity and I am here to conduct credible, accepted and transparent elections that Kwarans would be proud of without any fear or favour”. 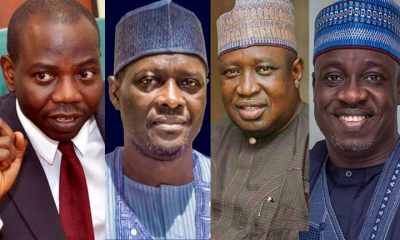 With the influx of aspirants who are jostling to become the governor of the state come 2019 on the platform of the All Progressives Congress,(APC) and the Peoples Democratic Party, (PDP), indications have emerged that there are real contenders while many others are pretenders. Several factors may make or mar the chances of candidates during the forthcoming polls include; religion, political antecedents, political party affiliation as well as zoning system. Historically, the advent of the 4th republic in 1999 had witnessed the emergence of late former Governor Muhammed Lawal of the defunct All Peoples Party, (APP), Kwara Central, from 1999- 2003, Former Governor Bukola Saraki, Kwara Central, (now Senate President of Nigeria) of the Peoples Democratic Party, (PDP) from 2003-2011 while Governor Abdulfatah Ahmed (Kwara South) who has held sway as the executive officer of the state since 2011 for eight years two term tenure. Olayiwola Lukman Mustapha, a son of the Wali of Ilorin, Alhaji Shehu Usman Mustapha, is a Chartered Accountant & a seasoned Banker with vast experience at many levels. 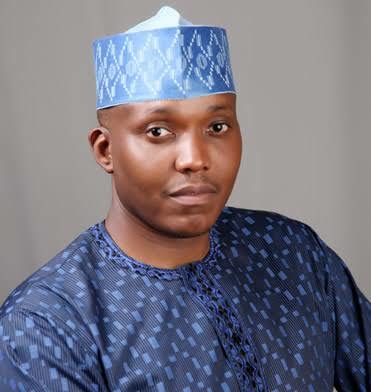 He graduated from Usmanu DanFodio University, Sokoto and later attended several courses both home and abroad, which includes Harvard Stamford & Lagos Business School, to mention but few. He is an experienced Banker and financial expert haven held different positions in the banking sector to become the General Manager & Head, Public Sector of FinBank(Defunct) now First City Monument Bank (FCMB). 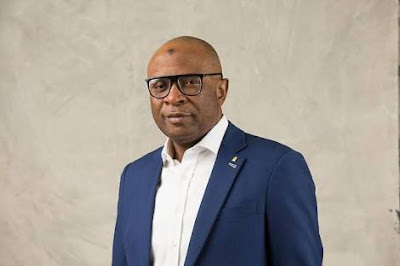 However, the aspirant is currently the Regional Manager Abuja & Northern Nigeria of FCMB and he is the Chairman Board of Trustees of Sobi FM 101.9, Ilorin. 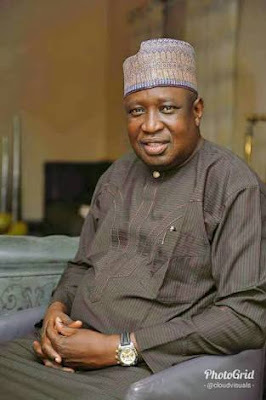 Until his defection to the All Progressives Congress, (APC), Lukman Mustapha has been a financial member of the Peoples Democratic Party (PDP). Some Kwarans for allegedly working for Dr. Bukola Saraki as a destabilizing agent/mole within the APC folk, although, he debunked the allegations and cleared the air recently criticized him. In the recent independent opinion survey, Lukman Olayiwola Mustapha, polled 48 percent. He is an aspirant from Ilorin West in the Kwara Central Senatorial District. Ambassador Yahaya Seriki Gambari is an idigene of Ilorin East local government of Kwara State and studied Public Administration at the University of Jos, Plateau State. He is a tycoon in the mining sector of the nation’s economy as well as the CEO/MD of Kursk Investment Limited. 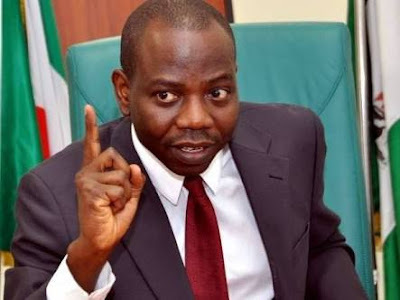 Yahaya Seriki has been perceived over time to be a diehard loyalist of the Senate President, Dr. Bukola Saraki, before and even after the latter decamped to the PDP. Feelers revealed that the aspirant had been told to remain in the race on the platform of the APC for obvious reasons haven contested for Federal House of Representatives in 2011 for Ilorin South/East Federal Constituency but was unlucky. Independent opinion survey showed that Yahaya Seriki Gambari polled 23 percent, which actually justified the beliefs of the Kwarans that the aspirant was out to seek attention for future political benefits/patronages. Shuaibu Oba AbdulRaheem, a Professor of English, former Vice Chancellor of the University of Ilorin and current Talba of Ilorin is an indigene of Ilorin West in the Kwara Central Senatorial District. He studied in Nigeria and the United Kingdom to become a renowned academician. He is a philanthropist with remarkable successes such as facilitation of job for youths during his tenure as the Chairman of Federal Character Commission. He later relinquished his position as the Chairman FCC to pursue his governorship ambition. At the heat of 2011 general elections, Professor stepped down his governorship ambition to support Alhaji Abdultfah Ahmed and later became the Director-General of his campaign organization on the platform of PDP. He also lost Senator Simeon Ajibola during the 2014 primaries of the PDP. His groundbreaking tenure as VC saw the University overcome the scourge of cultism, attains unprecedented physical and infrastructural developments and perhaps most importantly become the most stable in the Nigerian University system. Since his days at the helm of Unilorin, the University has maintained a high level of standard that is acknowledged by all. Upon completion of his tenure, Prof. Oba was later to serve as Chairman of the Governing Council of the State Polytechnic over a period of two years where he carried out massive reorganization of the institution. Thereafter, he was yet again called to service as Pro-Chancellor and Chairman of the Interim Governing Council of the newly established Kwara State University. He recently defected from the PDP to APC. Independent opinion survey showed that the varsity don polled 36 percent. Hon. Moshood Mustapha is a former lawmaker representing Ilorin/Asa in the Federal House of Representatives and a close ally of the Senate President, Dr. Bukola Saraki. He is an indigene of Ilorin, Kwara Central Senatorial District. He served Saraki Special Adviser on Inter-Parliamentary Matters even though; no former resignation of his appointment was made before embarking on his current political ambition. However MM as popularly called is perceived by Kwarans to be out to do the biddings of his political benefactor. He recently, decamped to the APC from the PDP. Coincidentally, the Mustapha family has also been seen by all as irrational for producing two brothers; Lukman Mustpha and Moshood Mustapha for the Kwara guber race. He recently polled 32 percent in the opinion survey. Hakeem Oladimeji Lawal is the son late Governor Mohammed Lawal who reigned from 1999 to 2003 on the platform of All Peoples Party, (APP). He was a strong loyalist of Dr. Olusola Saraki, the Late Waziri of Ilorin until when the parted ways for political reasons and lost his second term bid to Dr. Bukola Saraki of the then PDP in 2003. An indigene of Ilorin East, Kwara Central Senatorial District, Hakeem Lawal attended the prestigious Barewa College, Zaria and from there he moved to the International School, Ibadan. The United Kingdom was the next port of call where he attended Royal Russell School and obtained his GCSE and A levels. He then proceeded to the University of Portsmouth where he obtained his undergraduate degree. Subsequently he moved to University of Surrey where he obtained his postgraduate degree HOL is a qualified Chartered Accountant who has worked with many blue chip companies in the UK such as Amlin PLC and PowerGen to mention but a few. He is a stakeholder in a finance company and he runs a real estate development company. Hakeem Lawal, an articulate youth polled 67 percent in the opinion survey. Ali Babatunde Ahmad, the currently the Speaker of the Kwara State House of Assembly, is the lawmaker representing Ilorin South constituency in the Kwara State House of Assembly. He holds an LLB (Hons) degree from Bayero University, Kano ans later rose to become a Doctor of Juridicial Science (SJD) at the George Washington University Law School, Washington DC, IN 2000. He was a law lecturer at Faculties of Law at Bayero University, Kano and University of Ilorin, where he rose to Associate Professor and Acting Dean of Law. Dr Ahmad joined active politics in 2005 when he was appointed into various positions by the then Governor of Kwara State and current Senate President of the Federal Republic of Nigeria, His Excellency Senator Abubakar Bukola Saraki, CON. He rose to become the Hon. Attorney-General and Commissioner for justice of Kwara Satate. 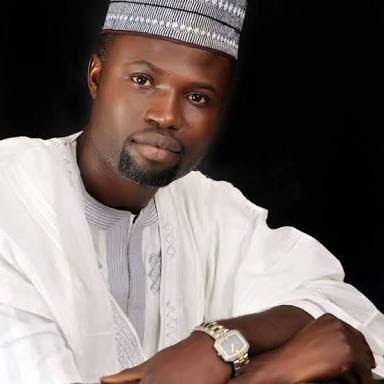 He contested and won the Ilorin East/Ilorin South Federal Constituency seat of the House of Representatives in 2011. He is one of the eyes of the Senate President in the current administration even though; he was not captured in the opinion survey for lack of political grip. 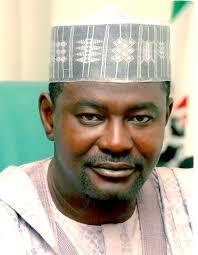 Shuaibu Yaman Abdullahi, an indigene of Shonga, Edu Local Government Area in the Kwara North Senatorial District. He contested governorship seat in 2003 and later for the Kwara North Senatorial seat on the platform of ACPN in 2011. He attended Native Authority Primary School, Shonga, Government Secondary School ( GSS) Omu-Aran and the Ahmadu Bello University, Zaria (ABU) where he obtained a B.Sc in Business Administration and graduated with a Second Class Upper Division. 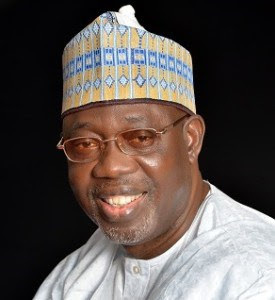 Yaman, a strong financier of the All Progressives Congress, (APC) is currently the Executive Director, Agromatrix Nigeria Limited, which started in 1988 haven held sway as member of Minerals and Metals National Technical Working Group for Vision 20:2020 in 2009 and was mandated to chart the course for the minerals and mines sector towards the its achievement. He was once a member of the Nigerian Railway Board, 2004 to 2007 and Chairman, Railway Reform Implementation Committee, 2006 to 2007, Nigerian Railway Board from 2008 to 2011, member, National Sugar Development Council, member, Technical Committee on Sugar Development, 1993-1994. Implementation Committee on Sugar Policy for Nigeria, 1991-1992, Director in the defunct Trade Bank Plc, from 1992-1999 and latter resigned his appointment in August 1999. In addition, he also served as a Director, Kwara State Grains Production Company from 1989-1992 and Kwara State Investment Company from 1985-1992, Ag. Deputy General Manager, SCOA (North) from 1987-1988, Commercial Manager (North), SCOA Motors and SCOAGRI to mention but few and he is currently the Chairman of Abuja Investment Development Corporation. He is polled 78 percent in the opinion survey. Alhaji Abubakar Kawu Baraje attended Baboko Native Authority Primary School, Ilorin, and at same time attended Arabic and Islamic School for all round Islamic Education. He had his Teacher’s Grade II Certificate and National Certificate in Education between 1971 and 1978. He added a Bachelor of Education Arts, of the Ahmadu Bello University, Zaria in 1982. He worked with Kwara State Government as a Teacher, Education Administrator, Public Administrator and rose to the position of Permanent Secretary, a position from which he voluntarily retired without blemish. During the 2007 he served in the Presidential Campaign Council of the Peoples Democratic Party, PDP. He served together with other colleagues from other states at the Legacy House, PDP campaign office as an Assistant Director in-charge of Administration. Alhaji Kawu Baraje was elected the National Secretary of the Party in March 2008 and took over from the Former Acting National Chairman, Dr. Bello Haliru Mohammed as Acting National Chairman. 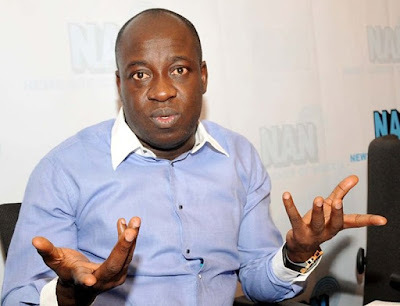 He is the frontier and leader of the nPDP and later initiated the R-APC before he finally defected to the PDP. He is an indigene of Ilorin West local government area in Kwara Central Senatorial. Hon. 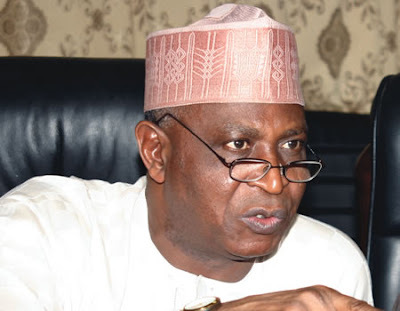 Ahman Pategi Aliyu’s governorship ambition may not see the light of the day due to the fact that he recently pronounced and reaffirmed his loyalty to Dr. Bukola Saraki of the PDP as against the interest of the people of Kwara North for the All Progressives Congress, (APC), especially to the re-election bid of President Muhammadu Buhari. This was felt in the statement of Etsu Patigi, Alhaji Ibrahim Chatta Umar, who publicly endorsed Buhari for second term. Bolaji Abdullahi, a former Minister of Sports and Youths Development under President Goodluck Jonathan, is an indigene of Kishi in Oyo state but claims Ilorin West, Kwara Central Senatorial District to become a Special Adviser to Governor Bukola Saraki and later became Commissioner for Education in the state. His loyalty to Saraki prompted him to resign his position as a Minister and defected to the APC. Abdullahi graduated with a Second Class Upper Bachelors degree in Mass Communication from the University of Lagos. In 2001, he enrolled at the Institute of Development Studies, University of Sussex on a Chevening Scholarship where he graduated with a Distinction in Masters in Governance and Development. 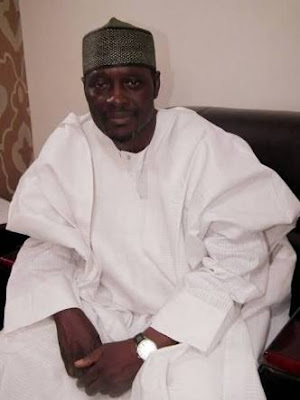 In December 2016, Abdullahi was announced as the National Publicity Secretary of the All Progressives Congress. On the 1st of August, 2018, Abdullahi’s loyalty prompted him to resign his appointment as the APC Spokesperson and decamped to the PDP after serious pressure from his deputy, Yekini Nebena. He is seen as an unreliable and undependable politician who cannot actually take peoples oriented decisions if elected as governor of the state. Other aspirants from Kwara Central includes; Modibbo Ishaq Kawu (Ilorin South), Mohammed Mustapha Akanbi (Ilorin East), Abdulazeez Yinka Oniyangi (Ilorin South). With the proliferation of aspirants from Kwara Central, the general public opinion is that party leadership should respect the zoning principle and allow the next governor to emerge from Kwara North in order to ensure equity, fairness and justice to all. The names of candidates are not completed. Alh. Tajudeen Oba Audu is not included. He hails from Lafiagi Edu local government area of Kwara state. He is one of the contending candidates in Kwara North senatorial district. I pray for those who will direct people of Kwara state to the normal way.Will sourced inshallah.